BUKIT GASING residents are questioning several proposed housing projects in the area from a safety point as well as issues such as access and sewerage links to the main channels. One of the main reasons for the worry is that huge landslides had occurred in the area over the past few years. It is also learned that the Petaling Jaya City Council’s (MBPJ) One-Stop Centre Committee had rejected one or two of the projects due to not conforming to the law and planning requirements. 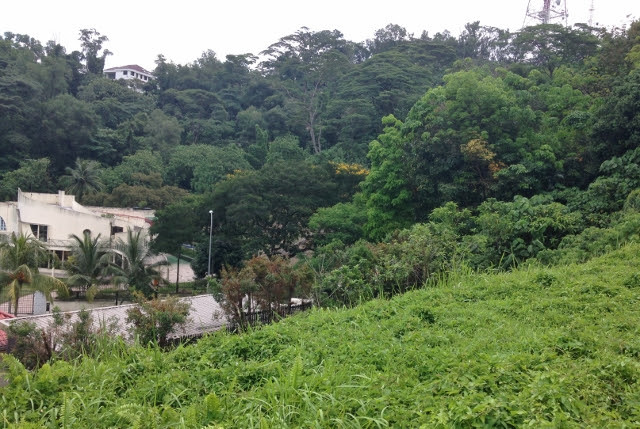 Aside from the steep slopes involved in the proposed developments, former city councillor Derek Fernandez agreed that they were in an area of Bukit Gasing which had already seen landslides. 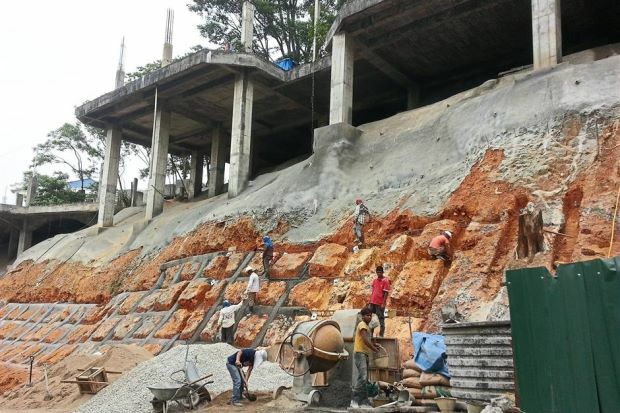 “Despite the building approvals and professionals involved, some of the landslides have already cost the ratepayer millions of ringgit to repair, and millions more required for slope protection measures,” Fernandez stated. Safety was also on the mind of Gasing Indah Residents Association chairman Alfred Chuah. “When we look at the slope, we are not entirely convinced it will be safe despite technical assurances, as some the slopes are very steep and landslides have already occurred in the area,” said Chuah. Section 5 Residents Association chairman Mohamed Rafiq Fazal Din recalled at least four, one in the Bukit Gasing Sivan temple, two on the hill’s hiking trail, and a minor case recently in the new council carpark. For residents living in Gasing Indah, the issue of access is also an issue, as Chuah said that currently Jalan 5/69 and other residential roads in the housing area were used as access for nearby condominiums. The same road would have been further used as another entry by one of the proposed projects as Jalan 5/69 was not meant to serve an additional 19 houses that were not originally planned for, added Fernandez. 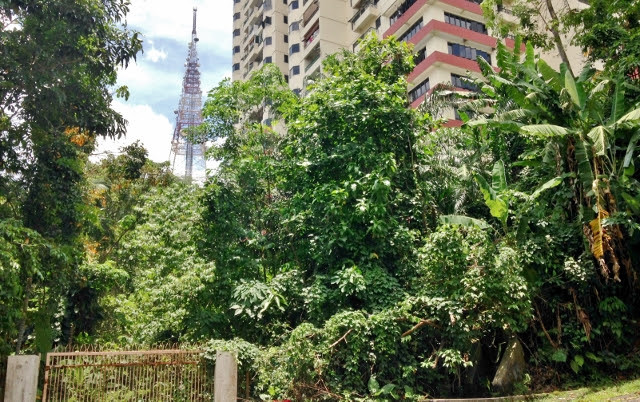 The issue of land title validity was also raised by Fernandez, who recalled a meeting in the mid-90s where he and other Bukit Gasing residents had objected to a different developer’s proposal for the same land. “At the public hearing chaired by then-municipal council president Datuk Mohd Nor Bador, resident leader Syed Jalal Abdullah had stated they were improperly issued, and the proposal was not approved,” he said. The briefing for the three proposed developments, and the presentation for a geotechnical study on Bukit Gasing, was originally set for March 24, but pushed to tomorrow. “We were not told of the meeting until a resident, a former councillor, informed us at the last minute,” said Chuah. When I was a councillor , I remember the OSC previously rejected these projects mainly as they at that time did not comply with the law and planning requirements. 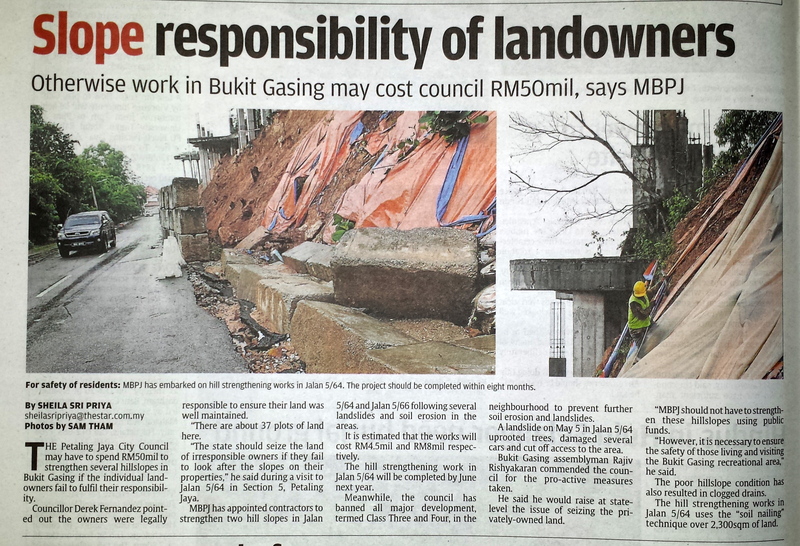 Apart from the steep slopes involved, these projects are in an area of Bukit Gasing with huge landslides. 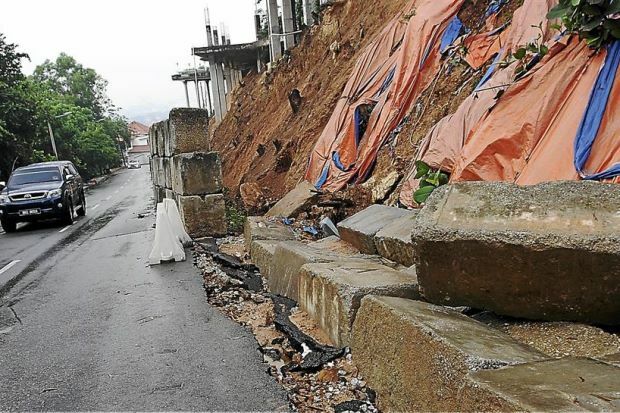 Some despite building approvals and professionals involved which has already cost the ratepayer millions of Ringgit to repair with millions more required for slope protection measures. In one of the projects the proposed use of Jalan 5/69 as access to this proposed development is unacceptable as the road was not meant to serve an additional 19 units that were never in the original layout plan for the area. Worse still the poor residents have been burdened by Cameron Tower using these small internal roads as an access when this was supposed only to be a temporary measure with the correct access coming through Fraser tower. Furthermore any gated development involving the development of more than one lot must provide public amenities outside the development but none has been proposed to be provided. We also previously were of the view that the area is a high risk hillside area with schools and houses below and that the risk is unacceptable with no long term proposal for maintenance of slope infrastructure being proposed. The risk of floods and surface run off is high. Next there is an issue as to the validity of the titles to the land as issued previously under the old administration. 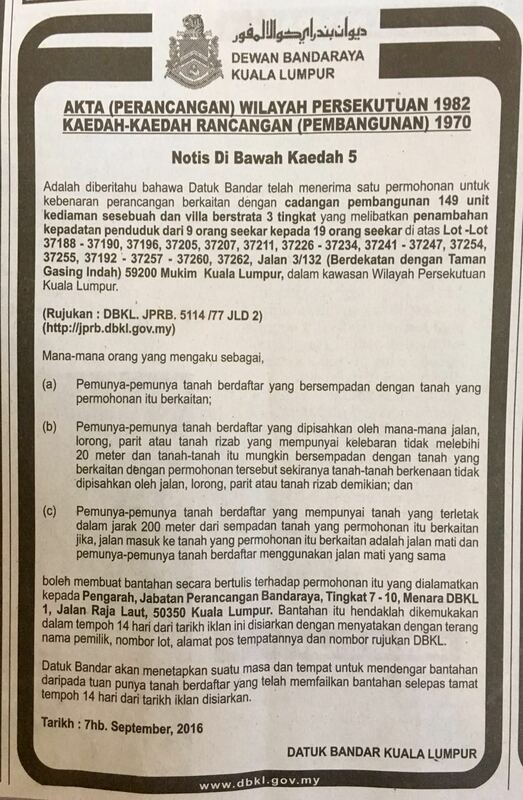 Many years ago around 1994 to 1995, PJ residents had objected to another development on the same land by a different developer on the grounds the titles were unlawfully issued. At the public hearing chaired by the then YDP of MPPJ Datuk Mat Noor Badoor, a resident leader Tuan Syed Jalal Abdullah had stated the titles were improperly issued and the meeting after being shown why, said they will not approve the project. That was a long time ago and I expect that the residents now will also raise similar issues if its the same land. In my opinion, PJ residents are sick and tired of their small internal roads being used as access for someone else project when that project was never part of the earlier approved layout for the area. This is happening all over PJ to cater for other peoples profits at the expense of existing residents and their families. I trust the Government will study all these matters properly before arriving at any decision as this involves serious matters of public safety and residents peace of mind, and enjoyment of their property. 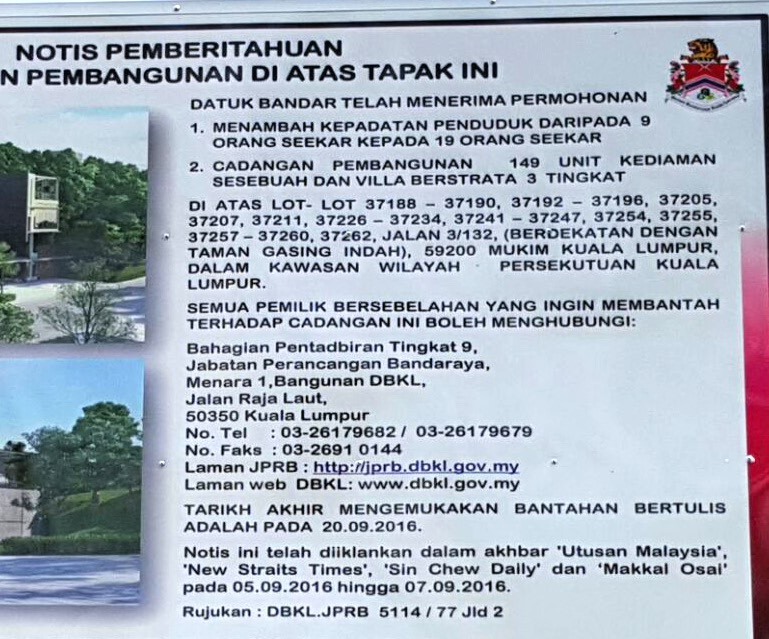 KUALA LUMPUR, March 13 — A developer is pursuing a group of Bukit Gasing residents over a judicial review they sought over its project, claiming damages in an extraordinary move observers fear will intimidate private citizens from objecting against government agencies. 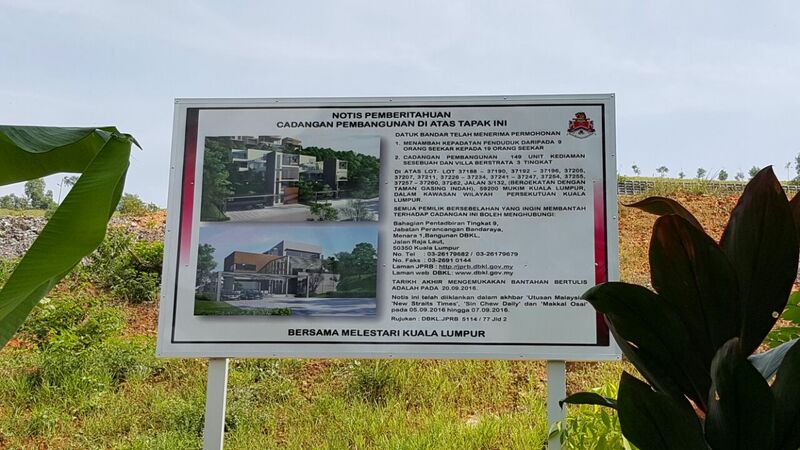 Although Gasing Meridian Sdn Bhd is now free to conduct its development after defeating the judicial review filed against it and the Kuala Lumpur City Hall (DBKL), it is adamant on claiming damages from the 103 residents who sought to block the hillside project in their neighbourhood here. According to civil liberties lawyer Syahredzan Johan, the developer’s claim will set a precedent that will make it onerous for private individuals who turn to the courts after exhausting other official avenues to challenge public decisions. “I am personally very concerned if the developer is allowed to claim damages against the residents from the judicial review application. 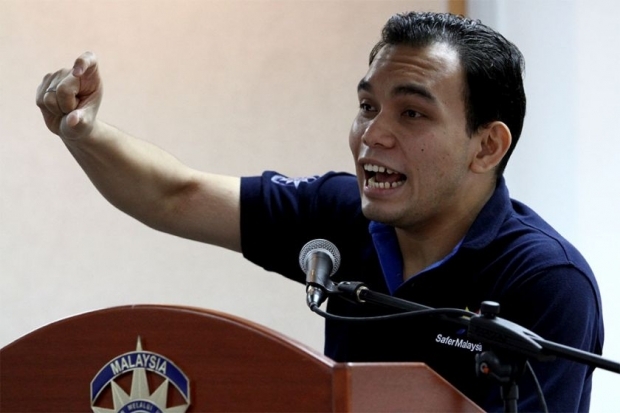 “This is a matter within the realm of public interest and the fear is that if the developer succeeds in its application this would discourage concerned citizens from seeking redress with the courts in the future,” he told Malay Mail Online. The Bukit Gasing residents’ challenge against the developer dates back to 2008, when the group filed for a judicial review to compel DBKL to hold a public hearing over its decision to grant a development order to Gasing Meridian for a hillside project in 2007. They claimed DBKL did not provide adequate notice of the development or hold a public hearing before it granted the order. The apex court added a twist to the case when the judges deemed fit to award RM10,000 in costs to both DBKL and Gasing Meridian as well as undetermined damages to the latter, which it sent back for the High Court to decide. “Public hearing is an avenue for the public to actually have their concerns aired and for responses to be made to those concerns,” Bukit Gasing resident Ashok Menon told Malay Mail Online. “By saying that you can end up having to pay damages for that, that’s like muscling up everyone. 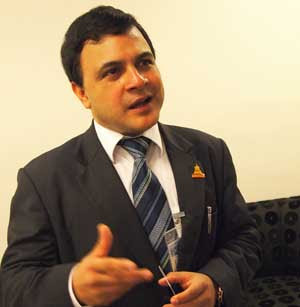 That’s what happens in a dictatorship,” Ashok said, adding that it was unclear why the developer was awarded damages. 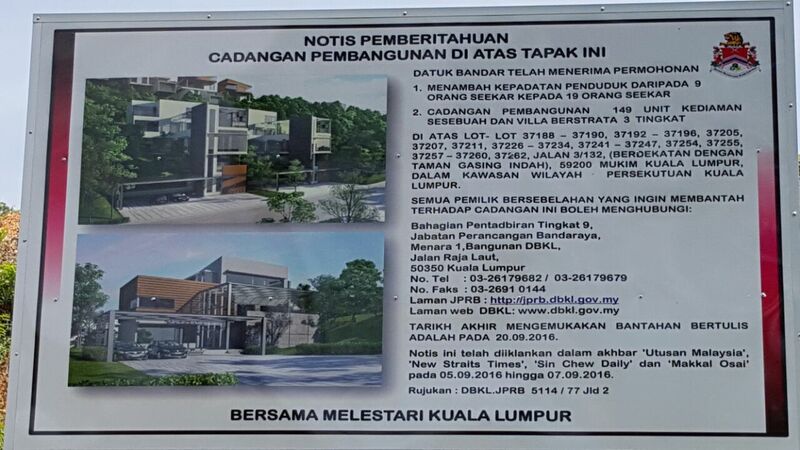 Bukit Gasing assemblyman Rajiv Rishyakaran echoed both men’s concerns, adding that the dispute had been between the residents and DBKL, rather than business-related. Not all are against the Federal Court’s decision to allow Gasing Meridian a claim to damages from the residents. Property lawyer Chris Tan explained that such a move would help to prevent the public from pursuing frivolous action against corporations. He also disagreed that the particular case would set a precedent that would make it burdensome for private individuals with valid complaints to seek legal action against government entities. “The precedent is not set to aim at the parties asking for public hearing for them to pay for damages, but to prevent the public from being against others without proper grounds, and facts of the case vary from each other,” he explained. “Any successful party is entitled to damages… provided they can prove the same to the presiding judge. Therefore it is fair in that sense,” Tan said. The Federal Court was initially scheduled to hear the residents’ appeal against the order for damages, but the case has since been postponed to June 29. Please be informed that the scheduled leave hearing for our appeal to Federal Court on the matter of High Court award of damages assessment has been cancelled. Federal Court is in the process of re-scheduling the hearing. 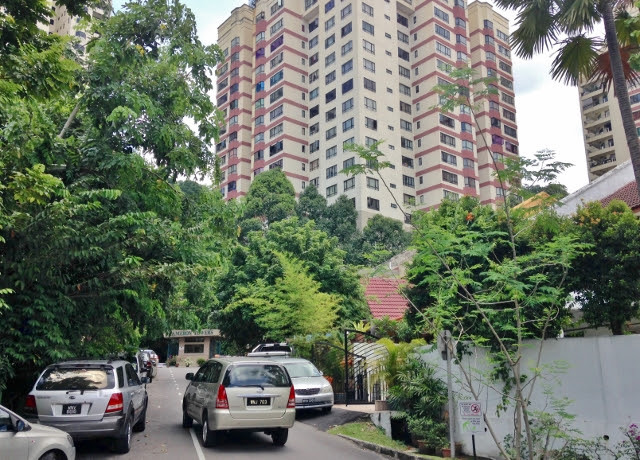 In 2008, 103 residents within Bukit Gasing area, in the interest of several thousand residents living in the proximity of Bukit Gasing (KL side), commenced a Judicial Review on the DBKL Mayor’s refusal to grant concerned residents a public hearing on the development of 68 luxury homes on Bukit Gasing- KL side. Gasing Meridian Sdn Bhd applied to join the case as a 2nd Respondent. The primary reason for the filing of Judicial Review was the fear for loss of lives and damage to properties. The proposed development on Bukit Gasing (KL side) had several steep gradients and the composition of the soil is sand and shale. In the circumstances, the residents feared that the development if allowed, would cause landslides and end in a tragedy similar to the Highland Towers tragedy (1993). There have also been several other tragic landslides at developments on steep gradients resulting in the loss of lives and destruction of property. Bukit Antarabangsa (December 2008), Orphanage at Hulu Langat (May 2011), Bukit Setiawangsa (December 2012), Dang Wangi LRT (May 2013) and Cameron Highlands (November 2014) are just some tragic recent examples. The allowing of damages to be assessed against applicants in a Public Interest Judicial Review case, is unprecedented in Malaysia. It is even more questionable as the award is to Gasing Meridian that had joined the case as a 2nd Respondent. In fact in August 1996, a Judicial Review case was brought by an associated company of Gasing Meridian in their development in Bukit Gasing (Petaling Jaya side) for damages, was thrown out by the High Court, Shah Alam, Selangor. The allowing of assessment of damages, in the present case, has severe consequences. It will prevent any citizen or civil society from filing a Public Interest case, for fear of having to pay damages if they should lose their case. This is of particular significance where Local Councils and developers throughout Malaysia are concerned. No one will dare to bring a Public Interest case against them. It is a denial of every Malaysian’s fundamental right to seek judicial review on actions by authorities that impact their fundamental rights. Citizens have a fundamental right to seek a Public Interest Judicial Review at the Courts on actions taken by authorities that are questionable. Such a re-course must be maintained without the threat of damages that will significantly intrude on the rights of any citizen or body of citizens. We seek your support to counter this threat to fundamental rights of all Malaysians. As a first step, you can support by signing the Petition. Residents and supporters of Save Bukit Gasing will be praying that Justice will prevail tomorrow at the Court of Appeal. The High Court granted the developer the right for assessment of damages against applicants to Judicial Review in May 2013. The applicants are appealing against this High Court decision. The Court of Appeal decision tomorrow will have significant implications to the general public. Judicial Review is the means for the public seeking review of our authorities actions. If other parties of Judicial Review case can then seek damages, it could severely affect the public’s ability to seek Justice. We hope that the Court of Appeal will take into consideration a previous attempt to sue for damages after Judicial Review relating to development at Bukit Gasing back in the 90s. Click to read the judgement. Then pray with the residents. Those of you that wish to support this hearing should be at the Court of Appeal in Palace of Justice, Presint 3, Putrajaya for about 9:30am. Check for Ramachandran Appalanaidu & 107 yang lain Vs DBKL/Gasing Meridian (R1-25-38-2008). Click “Here” for location of Palace of Justice at Putrajaya.